Avatar: Special Edition, which includes 9 minutes of new footage, opens in 3-D theaters worldwide Friday. Im trying to use the technology to keep people interested and enthused about the Avatar universe, because its going to be a long time before we get another Avatar movie done, the filmmaker said in a recent interview. Cameron, 56, already has plans for the Avatar sequels. Hes also got a submarine to build, cameras for the Mars rover to design, an underwater 3-D camera to upgrade and maybe even an ocean-related feature to make. But first, he had to select and perfect new Avatar footage and persuade distributor 20th Century Fox to rerelease the film theatrically in 3-D.
Cameron said there are hundreds of thousands, if not millions of people who wanted to see the movie in 3-D but didnt get the chance because Avatar was edged out of 3-D theaters by other scheduled 3-D releases. Since then, the number of available 3-D screens has doubled internationally, he said. Fox executives said in a statement that they have been inundated with requests to rerelease the film in theaters in 3-D since it wrapped its original run in March. Avatar boasts the biggest box-office take in history, collecting $2.7 billion worldwide. Bringing the movie back to the big screen is an experiment inspired by initial fan response to the movie, Cameron said. It was the most pirated film in history at the same time it was the most attended film in movie theaters, he said, adding that some who saw the movie on DVD or on their computer screens may want to enjoy it in all its big-screen, 3-D glory. The new footage is sprinkled throughout the movie. One bit focuses on the death of one of the planets native humanoids, the tailed, blue Navi. His death is hinted at in the original film, but in the extended version, We actually see him die, Cameron said. Another scene follows a hunt for one of Pandoras bizarre creatures in a rousing action-adventure, pulse-pounding kind of scene, he said. The extended version will appear on a special-edition DVD to be released in November. It also will include a more expanded, alternate reality version of the film that is 16 minutes longer than the original, Cameron said. 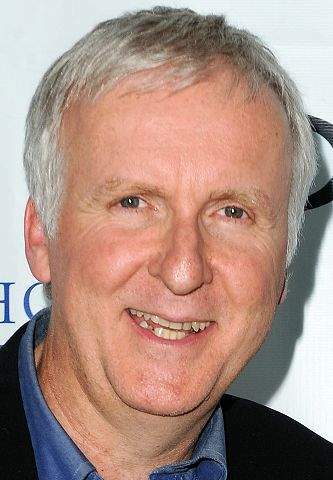 He already has begun technical development on an Avatar sequel that will focus on the planets ocean environment. He will also get a dose of underwater fun in the submarine hes building in Australia. Cameron plans to explore the Pacifics Mariana Trench in a two-seater sub that can go 36,000 feet below the surface. Hes working on upgrading his 3-D underwater camera and is helping build a space-age 3-D camera for the new Mars rover, Curiosity. Youll be able to see Mars going by, in 3-D, he said. Hes also working on a 3-D conversion of Titanic, which he hopes to release in April 2012, the 100-year anniversary of its sailing and sinking. Cameron is excited by the promise of 3-D and a future in which every screen is dimensionalized  which he thinks is just a few years away. Youll still need glasses in the movie theater, but youll have video, youll have laptops, all your small devices, the iPads and all that stuff will be without glasses, he said. Were basically revolutionizing how people watch stuff.